Alexa is the name of Amazon’s cloud based voice service, and is used to power many voice-enabled products, including the Amazon Echo, Echo Dot, Tap, Look, Show and Spot devices. CasaTunes has developed an Alexa Skill which can be used with various Alexa enabled products to allow you to control your musicBox using your voice. For musicBox specific control, we recommend using an Echo Dot or Spot in each room where you would like to control your musicBox using your voice. 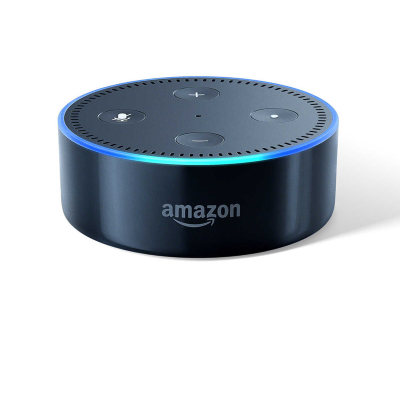 The Echo Dot or Spot provides all the capabilities required by the musicBox, and is value priced. The latter voice command takes advantage of having assigned the Alexa device to the Living Room. Controlling rooms - powering rooms on/off, changing volume, muting and un-muting, selecting a source for a room, listing rooms and sources, etc. "Alexa, ask kasa tunes to select Kitchen"